Norton legislator Mr Temba Mliswa (Independent) has described President Mnangagwa as a workaholic and visionary who is driven by an indomitable willpower to deliver, and noted that his lieutenants needed to shape up in order to match his work ethic. The straight-talking Member of Parliament told The Herald on Wednesday last week on the sidelines of the 2018 Mining Indaba that the President had represented the country “so well”, “so genuinely” and “so sincerely”. “To me, the President (Mnangagwa) has a vision and the goodwill is amazing. I have always said this and I keep saying this to people: our President is a brand and he is rebranding the country, which is important. “He is the number one Statesman; he is the chief spokesperson for us wherever he goes, and he has done it so well, so genuinely, so sincerely, and I am just afraid that his team probably might not be up to it. “If not, they have to pull up their socks,” said Honourable Mliswa. For public officials, he said, part of being patriotic involves resigning from roles they feel ill-suited for. “I have always said . . . if they realise that the socks are not coming up, it’s best for them to allow those who have their socks up already to be in office. Because we don’t want a situation where people are fired. I think part of patriotism is resigning because you cannot fit into the vision,” he said. 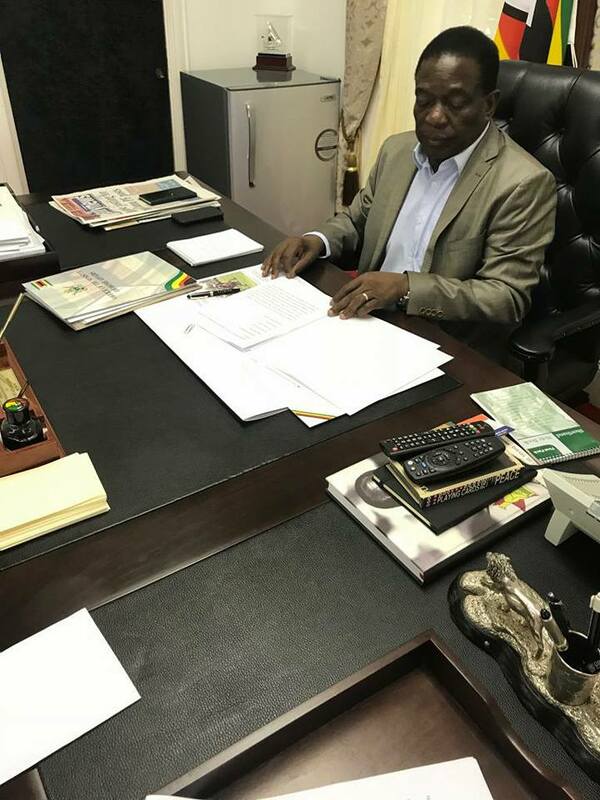 The often abrasive legislator — who attended the week-long meeting of global investors and government representatives, particularly from Africa, in his capacity as the chairperson of the Parliamentary Portfolio Committee on Mines and Mining Development — also noted that while people are beginning to talk about President Mnangagwa’s work ethic, he has always been like that, even before he assumed the highest office in the land. “He (President Mnangagwa) works. People are saying he goes in the office at the weekend and so forth — that has always been his style. If you understand the President that we have, he has always operated like that — he is an early bird, finishes late and he has hit the ground running. “Our minister of mines, which I preside over (sic), has certainly hit the ground sprinting, which is good.” But Parliament is concerned about companies that continue to hold claims without exploiting them, including the high royalties and taxes that are allegedly putting off most investors, he said. He also noted that there must be renewed effort to implement the “use it and lose it” policy in order to ensure that mining companies do not unnecessarily hold land for speculative purposes. Honourable Mliswa questioned the time it is taking to consummate the $4,8 billion-dollar platinum mining project in Darwendale. On September 16, 2014, Zimbabwe and Russia signed several agreements, one of which involved the proposed $4,8 billion deal. The envisaged venture was between Pen East Investments, a Zimbabwean company, and Afronet, a consortium of three Russian partners. The two entities ultimately formed Great Dyke Investments (GDI). Honourable Mliswa said: “Why are we not allowing companies like GDI in Darwendale to operate? Why are we speculating? It’s a big project. The Russians are involved as well. And as Parliament, we are not happy. According to the legislator, President Mnangagwa has been shrewd in not rushing to put in place a law to give legal underpinning to the revised Indigenisation and Economic Empowerment Act in order to let the market dictate the ideal arrangement. “I think the President has done well — he being a lawyer — from a legal point of view to say allow the legal framework to be dictated by the events on the ground.